WHY YOU NEED FIT-OUT PLUMBING IN THE CENTRAL COAST? In home building and remodeling, the “fitting-out” stage occurs when the structure is in its lockup stage, or almost complete/ready to be secured. This is an exciting time for a new home or office tenant, as they will take the reins from the developer and work with the fit-out plumber to spruce up the house, install the final fixtures—making it a livable space that is ready to be occupied. If you’d like a fit-out plumber on board with you to finish these last touches on your home or office, contact a professional on Wide Plumbing Services’ team. We’ll chat you up about optimum plumbing services before final fit-out and occupancy. 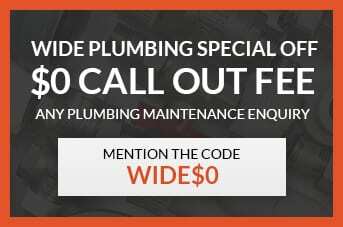 Call us at 0419 012 750 or send us an email at centralwideservices@gmail.com for any inquiries regarding fit-out plumbing services, and to obtain an obligation-free project estimate. Fit-out plumbing and the installation of last fixtures before occupancy is exacting work. A plumbing contractor will need to work closely with the tenant and construction team to make sure that all work fulfills the Central Coast’s building regulations. Wide Plumbing Services is ready to contract for fit-out plumbing and much more, anywhere in the Central Coast. Get to know our team of licenced, apprenticed, and highly experienced plumbers who commit to only the best results. We’ll optimize our project services to be good for one full year, so that you don’t have to spend more of your hard-earned money. Let’s schedule a visit to the home or office site before you contract fit-out plumbing with us. We can assess the scope of work to be done and provide you with a free, no-obligations estimate. We also won’t undertake any additional work unless you give us the go-signal. Let us know how we can help you with fit-out plumbing and a variety of other specialty plumbing services.